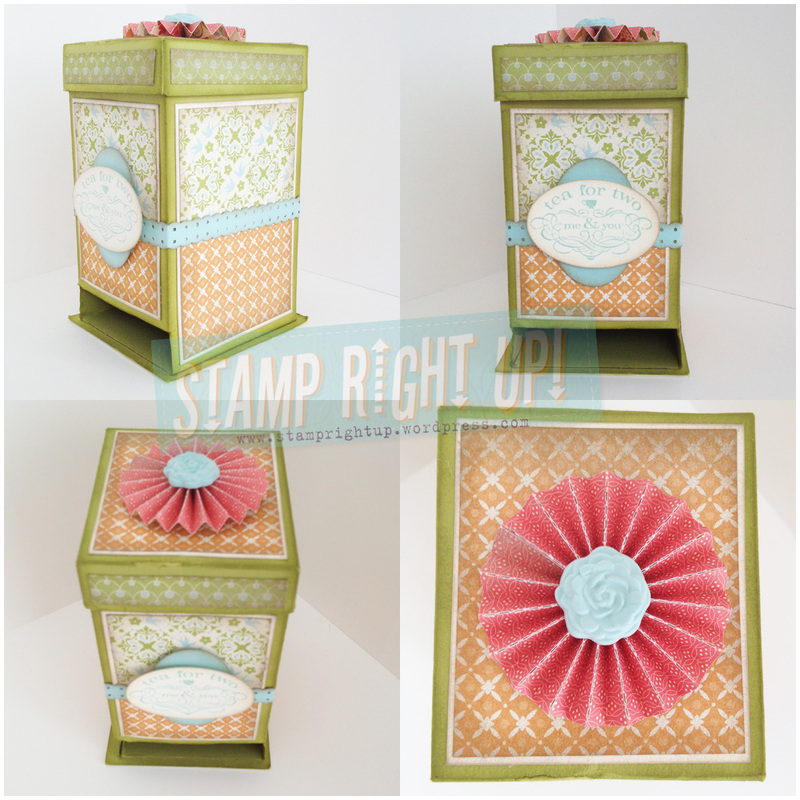 Stampin Up Tea Bag Dispenser Gift Box (& new cataloge item sneak preview) | Stamp Right Up! On the way! Thanks for stopping by!! Can I have PDF file for tea box. Sure! Just contact me with your email address! I love this, I would love the tutorial also, grethelroulhac@gmail.com. I really love the color combo. Thanks Grethel! I will have it out to you shortly! Thanks for stopping by! I will send the tutorial out to you shortly! Bien sur, envois moi ton addresse courriel et je vous l’envois. Sure! Just need your email address! Love this box. It is so cute! Love the tea bag dispenser. Have seen these in the past and would love the directions to make some. Please send me your directions. Sure Marsha! Just send me your email address. Thanks for stopping by!! Could you please send me the pdf for the tea dispenser. It is so lovely and I would like to make a few. I have really enjoyed going through your blog and looking at your creations. I love the look of the Mothers Day Tea Box and would appreciate a copy of the pdf. if you are still sharing. Its always fun to get inspiration looking at what everyone else does with the same items. This is so fun! Can you send me pdf instructions? This is a great gift! Love it! and would love to have the tutorial to make it please! This is beautiful…may I please have the tutorial please. Thank you kindly!